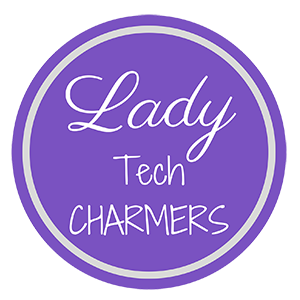 In this episode you get to meet the lady techies: Caitlin Sellers, Paula Okonneh and Dr. Sharon Jones. Listen to their stories on how they got into the tech world and why they are on a mission to empower women and girls to become tech leaders and entrepreneurs. Paula Okonneh: The CEO of Computer & Database Solutions LLC and podcaster/host for Chatting with Experts. Science and Math was overwhelming and she wanted nothing to do with it until her mom stepped in and said, “you are going to be a mathematician.” One of her teachers made math come alive and she went from the bottom of the class to a star in high school. She went on to college and majored in mathematics. Bottom line, Paula wants to encourage young women to pursue tech, math, and science even if it’s not their strongest subject because there is always hope! Dr. Sharon Jones: A teacher at a community college and owner of Dottie Rose Consulting. She did not have exposure to technology growing up and wasn’t even familiar with PowerPoint during her sophomore year in college. She decided to pursue a masters in Business Education because she was interested in programming. She taught herself how to program and code which led to being hired on the spot. Not many people are willing to teach programming and that still remains an area in need today. Sharon has a passion for technology, coding, and programming and thinks that everyone can do it and should have exposure to it, especially young women. Caitlin Sellers: A Digital Therapist, Inbound Consultant, and a speaker. She also likes to be a community organizer and connector. She wasn’t quite sure what she wanted to do in college, but knew she was terrified of STEM. She decided to major in criminal justice because she is a Criminal Minds junkie and ended up double majoring in Communications. She graduated college during the recession and finding a job was very difficult because most of them required 3-5 years of experience. She got direct sales jobs and worked in IT staffing which led to her landing a gig at a marketing agency an hour outside of Charlotte in Shelby, NC. It was difficult for that agency to get clients and ultimately wasn’t helping her pay off her student loans. She worked 5-6 different jobs at one point just trying to survive. Eventually she decided to go out on her own and became a HubSpot consultant and now teaches inbound sales and marketing to agencies, in-house teams, and entrepreneurs. Caitlin: Paula, what’s involved in starting a podcast? Paula: The first thing is to define your “why”. Why do you want to have a podcast? I wanted to know the story behind the business. I also wanted to let business owners tell their own story. After you define your why, you’ve got to ask yourself how you’re going to get your guests. What’s your main topic going to be about? How are you going to do your artwork? What music are you going to choose? Which platform are you going to use? Most of us use iTunes. Then how are you going to host it? You’ve got to think of all the options out there. Those are some of the things you need to think about when you are considering starting a podcast. Caitlin: Do you need a website? Paula: Not necessarily! If you want to just start from scratch, all you really need these days are a smartphone, a microphone, and a guest. If you are one of those people who wants to be solo, if you have a smartphone and a microphone, that’s really all you need because you’ve got yourself as the guest. Sharon: I think you hit it much on the mark when you were talking about the story part and finding that personal connection. [12:23] Do you have a computer science degree? Or that coding sounds so difficult, how do you start doing that? It’s all about the story. It’s finding the connection between what you love and then applying that to the tech field. It doesn’t necessarily have to start off being coding. Maybe it’s something you’re doing that’s more visual and then you move into the coding side of it. For me personally, what I have found success in teaching technology, coding, or data analysis is finding that personal connection between what we do everyday and what we love and connect it with technology because it’s so much apart of our everyday life. If you can find that personal story that you love, you’ll find that technology falls right in with what you’re doing. I find that being a coder, I end up telling a story through code and I don’t even know that I’m doing it sometimes. Learning a foreign language makes it easier to learn programming. Learning a programming language is much like learning a foreign language. All of us have had some kind of exposure to learning a foreign language in school. You can really apply that skill to learning coding skills. Caitlin: How do you bridge the gap between girls and tech. [13:57 ]You know, you’re talking about embracing your story and being able to use foreign language and take that into the world of coding, but for young women in elementary, middle, and high school, how do you empower young girls to take on tech? Sharon: Exposure. And I think that begins with starting students young, both male and female because you will find that the young girls will clammer to it more than the boys. They have a tenacity and an interest in working together as a team. They work very well as teams. Most of what we do in computer science and IT all involves teamwork. So for me it’s bridging the gap with exposure and showcasing that it is interesting, that you can do it and there’s different element. I do a lot of advocacy work for an organization called code.org. I am very passionate about what they do because they offer an open-source platform for young people to be able to jump on and start using computer science just like that. All they have to do is go to code.org and start playing. And you will find what code has done is help find something that relates to the young people and finding something that they enjoy and then applying that to technology. What I do in my company is teaching young people and one of my favorite workshops that I do is creating design using code. I was happily able to do that with TTS (Tech Talent South) and we take code and create art. It is fabulous because they begin to see the connection. It’s exposure and allowing the children to see the technology when they’re young because by the time they formulate to high school, they’ve already come up with their opinion. Caitlin: The tech classes that are offered online, they don’t necessarily have to be coding. The tech classes that are localized don’t necessarily have to be coding either. Sharon: No, I don’t think so. And we’ve said this before, you’re using tech everyday. The number one skill that you need to know in computer science is how to critically think and you need to know how to create an algorithm. An algorithm is simply creating steps to solve a problem. Well, guys, we do that every single day! So if you can figure out how to solve a problem, then you can code. You can figure out how to use Adobe Photoshop because you can play around with it and know you’re not going to break it. Caitlin: You can create good strategies for people to be able to build their businesses. Sharon: The coding part almost is secondary to the ability to be able to critically think and come up with a plan. Caitlin: And that’s the hardest part! Paula: I’m happy that you pointed out that girls work together better as teams. Are you finding out that it’s easier to work with the younger girls, like elementary or middle school, as opposed to high school? Or is there any difference? Sharon: No, there’s no difference in being able to work with them. Girls are innately interested. What I find is that I have a harder time recruiting the high school girls because by the time they’ve hit high school, they have either not had exposure or they have a preconceived notion about what is programming, that it’s boring, they don’t know where to start. But once I can get them into my class, then they realize that they can do this. So I just did a workshop with Girl Scouts and I want to give a shout out to the Girl Scouts because they really have embraced this. We did a whole workshop on creating entrepreneurs out of the young women that are in high school through the selling of cookies. So we’re using data analysis and social media to better expose what they’re doing to raise money. They are becoming their own entrepreneurs within, to sell cookies and they can do the different projects they want to do. I had a little trouble getting them there, but once they were there the ideas were flying! And now they are asking for more workshops. It’s just getting the exposure to them and getting them to understand what it is. My ploy is that if we start a little younger, they come up with the notion that technology is not scary. That coding is not something to be afraid of. Paula: The interesting thing, also, is that you’d think that with technology being so readily available that it becomes a part of their lives. But we still have girls being a little intimidated by technology. They get the gratification of going on their iPads and being able to play with games, but then letting them know that they can actually do all that themselves seems to be a bit of a problem. Caitlin: I think that looking at me starting my business so young, I look back at how my parents enabled me to become an entrepreneur. I look at the fact that I have severe ADHD, so it’s very difficult for me to concentrate. So sitting at a desk all day is tough. So my mom recognized that, but also celebrated my strengths by sending me to a school that could embrace that, so I went to open school. I got involved in theater which helped me with my public speaking. I was able to work in a lot of teams and centers. I was able to be more of a kinesthetic and a visual learner, then having to necessarily sit in front of a desk. So what gave me the competence to start my own business was going back to my childhood experience of selling friendship bracelets at the pool and mowing lawns to make money and being able to manage a budget. Thinking about technology from a holistic perspective and an entrepreneurial perspective, you know, I work with quickbooks online. There are a lot of different elements in technology that come into play when building a business and building a personal brand. I don’t think that girls should be intimidated by coding, but I also think that if coding is not necessarily the route that they want to take that there are other avenues for technology and even just having the guts to start a business, you’re gonna have to get involved with technology. So taking that on from an early age and for parents to help..
Sharon: And I just want to add one more comment, this goes along with both of what you guys said, but Paula you mentioned that lots of young people have exposure to the technology. There was a statement that I read sometime ago, it said that, “the youth of today are users or consumers of technology, but are not creators. And if we continue to have users and not creators, we’re not going to move forward in our technological advancements.” So what Caitlin just said, if you flip the idea and change it to not being just about coding, but more about creators of new technology, it’s a whole new mindset because you do not have to be a coder to be able to be a creator of technology. You can be in any industry and create the technology or create a technological movement that you need to move your company or your business or whatever your purpose is for. Caitlin: I mean that’s really how I came to the idea of digital therapy. People ask me all the time like what is a digital therapist? How are you offering digital therapy? And I essentially empower people to understand how to use technology and grow personal and business brands to build community and educate people and make money. So I’m using technology as a tool and a resource to create new opportunities for people and for myself. So thinking about it from a different way and stepping out of my box gave me the ability to see things from a different perspective. Paula: I’m loving that word ‘therapist’. You never would think to put those two words together. But just using that the way you just described yourself, I’m sure you get lots of questions of interest because those words don’t typically go together. Caitlin: Yeah, I mean just helping people understand what is out there and what they can use and bridging the communication gap, I think is a really big topic of conversation. So I want to wrap up this conversation a little bit. What is yalls favorite podcast? Paula: I love Women in Tech. They are based out of the west coast. Caitlin: I feel like there’s a lot of women in tech opportunities in the west coast, but what we’re trying to do here is bring some opportunities to the southeast. There’s a lot of things that are holding us back a little bit in the southeast and I think we can break that glass ceiling a little. Charlotte is a great place to start a business and be an entrepreneur and just sort of get a blue ocean. My favorite podcast right now, I’ve been listening to a podcast called BizChix. She essentially is a mom and she wanted to be able to create her own online business and so she interviews lots of other business owners who are creating online brands and women entrepreneurs who are trying to do more podcasting and she I think she’s published over 250 episodes or something ridiculous like that. But to hear things from her perspective, her most recent episode she was talking about the year of profit and how important it is for women to remember to pay themselves and put money into their family. Feed yourself first. Thinking about the year in profit in terms of how you can make your business the most profitable and where you can cut back or where you can invest to make a bigger impact. Sharon: There’s one that I started listening to and it’s all about southern cooking. I love to cook and recipes. I love to use that in my tech world. I actually wrote a whole book about a recipe for success using data. So this is all about finding your way in the world of restaurants and eating. The way that I found my way in technology is relating it to something I’m interested in, which for me it’s food, I love to bake and cook. So I use the metaphor of a recipe to talk about finding different variables of data just like a different ingredient in a recipe. My book is called A Recipe for Success using SAS University Edition to plan your first analytics project. The idea is to break away the stereotype that data is overwhelming and hard and realize you just start with a project. Just start with something small. Caitlin: How do you go about starting authoring a book? Sharon: It is an interesting journey, but I had a great editor, Brenna Lee. She’s amazing and basically what she told me to do was just to start with the outline. So I took a lot of my lesson plans and just started organizing it and then it just happened. It was a lot of work though, I’m not a great writer, but I can talk all day long! Paula: And that brings us back to why we are here! We are here to talk about women in technology and how it’s all a story. If we can do it, so can you!